Uttarakhand Public Service Commission (UKPSC) has announced notification for the recruitment of 62 Forest Range Officer (FRO) vacancies. Eligible candidates can apply online from 17th November 2015 to 05th December 2015. 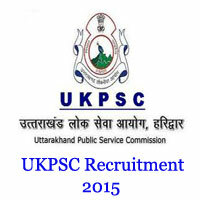 The notification for Uttarakhand UKPSC Forest Range Officers Recruitment 2015 has been announced.